Nursing is an ever-growing field of work that is essential to the health and well being of our communities. More and more positions in nursing are becoming available, and it is predicted that the employment of registered nurses will increase 16%—a percentage much higher than most other occupations currently. Consequently, many schools are offering masters of science in nursing online to keep up with the demand, which is why we’ve put together a list of the best masters in nursing online programs to make it easier to find the school that best fits your needs. Most students interested in becoming a registered nurse take one of three paths: receive a Bachelor’s of Science in Nursing (BSN), receive an associates degree in nursing, or attend a certified nursing program and receive a diploma. Along with an education, nurses also must be licensed. Those interested in a better chance at the best positions, positions in management or administration, jobs in research, consulting, or teaching, will need to receive a Master of Science in Nursing (MSN) from an accredited nursing program. There are many available online masters of nursing programs all across the country from accredited and respected schools. Many of these schools are now offering their programs online, which has its advantages. It allows students to continue working, maintain family life, and have control over their own schedules. We’ve researched some of the best online MSN programs and ranked them according to general program information, admission requirements, and tuition. 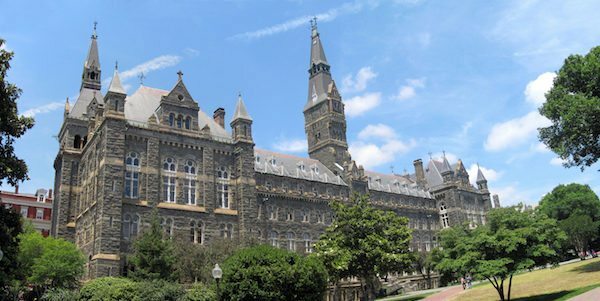 Georgetown is the oldest Catholic university in the country and offers MSNs through the Georgetown University School of Nursing & Health Studies. At Georgetown University, the nursing program lives by the mission “to improve the health and well-being of all people.” Georgetown offers MSN degrees in several different programs including; Family Nurse Practitioner, Nurse Midwifery/Women’s Health Nurse Practitioner, and Nursing Education. Georgetown allows students to receive an MSN without having to relocate and gives access to all of the coursework online from anywhere, anytime, as either a part or full-time student. Students are also able to participate in clinical experiences arranged in partnership with faculty. Admission: To be admitted to an MSN program at Georgetown, students must have received at least a 3.0 GPA in their BSN from an accredited nursing program, and have a valid nursing license. Tuition: Price varies between $21,000 and $36,000 per year full time depending on the program. Walden University was founded in 1970 and is recognized as a student-centered online education. Their main goal is to help you reach yours. Walden focuses on careers and student satisfaction, there are several specialized tracks for MSNs at Walden. The tracks include Leadership and Management, Nursing Education, and Nurse Practitioners. Admission: All students wishing to receive an MSN must already be a registered nurse and have a bachelor’s degree or higher. Tuition: Tuition and fees vary by degree program, but Walden offers many different grants, scholarships, and tuition saving options. Walden also offers monthly payment plans; instead of paying full tuition at the beginning of each semester, Walden allows students to spread the cost of tuition, interest-free. The University of South Carolina offers a 100% online MSN degree in Organizational Leadership that is designed to prepare nurses to manage the delivery of nursing and healthcare services across the spectrum of healthcare. The program focuses on facilitative processes for organizational leadership, financing health care, and research methods for nursing. Students learn the conceptual basis for family and community health nursing, organizational and management theories emphasizing budgeting, strategic planning, organizational development, and receive preparation for national certification in nursing administration. Admission: To be admitted to the MSN program at the University of South Carolina, applicants must have a minimum undergraduate GPA of 3.0, two letters of reference from master’s prepared RNs, a personal goal statement, a CV, and current RN license. Tuition: Tuition for the online MSN program in Organizational Leadership at the University of South Carolina can range $516 – $625 per credit or $16,120 – $19,390 for total tuition and fees. Western Governors University is a competency-based, student-focused, nonprofit online university. Programs are designed with the students in mind and developed to benefit those who are busy and working. WGU offers MSN degrees (masters of nursing education), leadership and management, and integrated healthcare management. WGU also offers MSN options for those who are RNs and do not have a formal undergraduate degree. The programs let students go to school on their time and is a flexible program. Students choose when and where they complete their coursework. Because WGU is competency-based, once students demonstrate their competency in a subject, they can move onto the next course. Admission: To apply to WGU, students must have a bachelor of science in nursing and must currently hold an RN license. Applicants also must submit a resume, be actively working as an RN at the time of application and enrollment, and submit to a criminal background check. Tuition: WGU doesn’t base tuition costs on “part” or “full” time status, instead, WGU charges a flat rate regardless of the number of credits taken. Tuition for the nursing program is $3,250 per term. Nursing students will also be charged a one time consolidated nursing program fee of $350 to cover any additional expenses related to nursing coursework. Liberty University was founded in 1985 and is an online Christian school. Liberty offers MSN degrees in nursing education and nursing administration. The programs at Liberty integrate research and scholarship with advanced practices. Students will learn to employ the nursing process to perform; strategic planning, fiscal and resources management, evaluation of outcomes, and make ethical decisions in advanced nursing practices. Most courses are offered in an eight-week format and there are no residency requirements. Admission: Students must have a Bachelor’s of Science in Nursing from an accredited university. Tuition: Liberty University offers some of the lowest online tuition rates and offers scholarships, flexible payments, and other forms of financial aid. Duke University is known as a world-class university. Duke offers many of the courses required for the MSN online, but all students will have required on-campus activities for a few of their courses. Students will be required to come to the Duke School of Nursing at least once every semester for two- to five-day intensives and participate in face-to-face interactions, simulations, and hands-on activities. Duke offers several different focuses in the MSN program: Adult-Gerontology Nurse Practitioner (Acute or Primary Care), Family Nurse Practitioner, Pediatric Nurse Practitioner (Acute or Primary Care), Neonatal Nurse Practitioner, and Women’s Health Nurse Practitioner. Students are also able to specialize in cardiology, HIV/AIDS, oncology, orthopedics, veterans healthcare concentration, health informatics, nursing and healthcare leadership, or nursing education. The programs at Duke require students to complete 11 credit hours of clinical core courses as well as a final clinical residency under the mentorship of an experienced clinician. Admission: To be admitted to the Duke MSN program, students must have a BSN from an upper division nursing major, an associate degree in nursing, or a diploma in nursing with a BS/BA from an accredited program. They also must have a GPA average of 3.0 or higher in courses required for the undergraduate nursing degrees, and coursework in descriptive and inferential statistics or biostatistics. They must have a satisfactory GRE score or hold a master’s or doctoral degree. Students must have at least one year of nursing experience along with licensure. Tuition: Duke charges tuition per credit but also offers financial aid specifically for those students in the Master of Science in Nursing. Kaplan University designed an online MSN for nurses who desire to advance to the next level in their careers and take advantage of opportunities in management and advanced practice positions. The program at Kaplan offers courses in Organizational Theory, Health Care Finance, Health Policy, Human Resources, Information Technology, and Health Care Systems. They also offer faculty and preceptor-guided practicum or clinical experiences in the community and require an evidence-based project. The MSN at Kaplan also offers four different tracks: Executive Leader or Informatics, Nurse Educator, Family Nurse Practitioner, and Adult-Gerontology Nurse Practitioner. 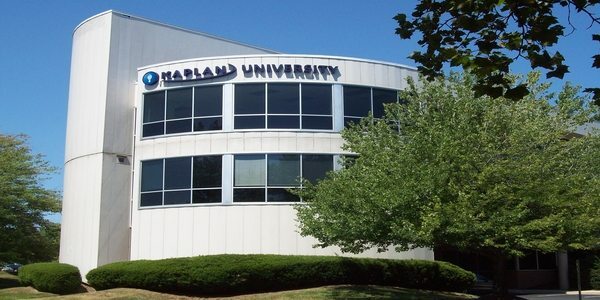 Admission: Applicants to Kaplan University must have a bachelor’s degree from an accredited college or university. Prior to registering for clinical courses or an externship experience, nursing students must submit documentation of any required health examinations, tests, and immunizations. Tuition: Tuition at Kaplan is calculated per credit. Each credit in the MSN program costs $385. With 60 credits required for the MSN, you can expect to pay about $23,100 for total tuition without any tuition discounts. Vanderbilt offers many different options for completing an MSN degree. There are three different learning options; distance, modified block, and online. Distance learning includes periods of time where the student is required on campus, depending on the program. Modified block courses are offered in concentrated blocks of time on campus. Vanderbilt offers students wanting to complete an MSN the option of an MSN in Healthcare Leadership, which can be completed online. In the Healthcare Leadership program, students learn the skills and management knowledge needed to assume leadership positions in healthcare delivery organizations. Admission: Applicants to Vanderbilt MSN must have a valid nursing license, have a BSN from a regionally accredited university, a minimum GPA of 3.0 or higher, GRE scores, three letters of recommendation, and answer all application questions. Tuition: The cost of tuition per credit hour at Vanderbilt University is $1,356. John Hopkins University offers a high quality and comprehensive education for those interested in learning more and taking their career to the next level. John Hopkins offers several different tracks in their MSN program: Nurse Practitioner Specialty, Clinical Nurse Specialist, Health Systems Management Specialty, and Public Health Nursing Specialty. Specifically, they offer online clinical nurse specialist programs and health systems management programs. Admission: John Hopkins requires applicants to have a BSN with a GPA of at least 3.0 from an accredited college or university. They must have served in their community, have a professional commitment, be interviewed by a faculty member. They should have a written expression of their goals, and letters of recommendation. Applicants must have a current nursing licensure as well. Tuition: Tuition for either the clinical nurse specialist program or the health systems management program is $1,509 per credit or $39,688 total. Loyola University’s School of Nursing was formally established in 1979, in 2010 the MSN program was brought to a completely online format. Students are involved in an interactive online environment with peer-to-peer interactions, discussion boards, and multimedia learning tools. The online MSN program at Loyola prepares students with the skills and knowledge needed in a variety of nursing leadership positions. The program focuses on preparing nurses for positions as Care Coordinators, Case Managers, Nurse Consultants, Nurse Executives, Nurse Managers, Outcomes Managers, and Product Line Managers. Admission: Applicants must have a current and unrestricted RN license, a BSN degree from an accredited school (or a bachelor’s degree), a cumulative GPA of 3.0 or higher, and an undergraduate equivalent of three credit hours in statistics. Tuition: The Online Master of Science in Nursing costs $744 per credit hour. Loyola University also offers many scholarship opportunities for students in the MSN program to help alleviate costs. The University of Texas-Tyler is known for high student engagement and is a respected public institution. The online program has been designed around working professionals and is ideal for students that need to fit in their studies around busy schedules. UT Tyler offers five different tracks in the MSN program; Online Nursing Administration, Online Nursing Education, Web-Enhanced Nurse Practitioner, RN-MSN, and MSN-MBA. Through the program, students complete their master’s degree in nursing entirely online and get to interact with faculty through Instant Messenger, Web-based meetings, and other interactive programs. They also gain hands-on experience working with leading healthcare executives. Admission: Admission to the University of Texas-Tyler requires a 3.2 or higher GPA on the last 60 hours of undergraduate work or an entrance exam with a 3.0 GPA. Applicants must have an acceptable score on the GRE or MAT, three letters of recommendation, a resume and CV, proof of current licensure, CPR certification, immunizations, and hold a BSN degree from a nationally accredited college with coursework in statistics with a “C” grade or better. Tuition: Tuition for the online MSN programs at UT Tyler vary depending on credit hours and residency. In addition to tuition, a $14 per semester credit hour is charged for online courses. South University provides students interested in nursing, the knowledge, clinical proficiency, technical skill, and confidence that is required for a position in healthcare. South University also offers many different tracks and specializations within the online MSN program; Adult-Gerontology Primary Care Nurse Practitioner, Family Nurse Practitioner, Nurse Education, Nurse Administrator, and Nursing Informatics. Admission: South University requires students to have a BSN from an accredited school, a minimum 3.0 GPA, and a valid nursing license. Tuition: Tuition for South University varies depending on credit hours, residency, and program. Financial aid and scholarships are available for nursing students. Saint Xavier University has been ranked among some of the best online schools for MSNs. SXU offers two different tracks to earn an MSN degree; the Clinical Leadership track or Executive Leadership track. The CL track focuses on giving students the advanced clinical knowledge and leadership tools needed to take a leading role in assessing, improving, implementing, and evaluating patient care. The EL track focuses more on the impact of patient outcomes at an organizational level. Students learn about budgeting, project management, and strategic planning. Admission: Applicants must complete a free Saint Xavier Graduate Student application that includes a personal statement. They also must have a BSN from an accredited school with a GPA of 3.0 or higher, current nursing license, three professional recommendation letters from nursing professionals, a current resume or CV, and at least one year of full-time work experience as a registered nurse. Tuition: Tuition for the MSN degrees at SXU varies between the two tracks. The CL track requires 37 credit hours for completion and is $690 per credit hour. The EL track requires 35 credit hours for completion and is $690 per credit hour. Drexel University is dedicated to developing students that are highly competent in technology, evidence-based practice, customization of care, leadership, and outcomes and risk assessment. Drexel offers a wide variety of specialization for MSN students; Adult Gerontology Acute Care Nurse Practitioner, Adult Gerontology Primary Care Nurse Practitioner, Family Nurse Practitioner (Individual Across the Lifespan), Pediatric Acute Care Nurse Practitioner, Pediatric Primary Care Nurse Practitioner, Pediatric Primary/Pediatric Acute Nurse Practitioner Dual Program, Psychiatric Mental Health Nurse PRactitioner, Women’s Health/Gender Related Nurse Practitioner, Clinical Nurse Leader, Clinical Trials Research, Nurse Education and Faculty Role, Nursing Innovation Concentration, Nursing Leadership and Health Systems Management, and Nurse Anesthesia. Admission: Drexel University requires applicants to have a BSN from a fully accredited program with a minimum cumulative GPA of 3.0. Applicants also must have two years of current critical care experience, a current unrestricted RN license, two professional letters of recommendation from nursing professionals, and a personal statement. Tuition: The tuition rate for the online MSN degrees at Drexel for the 2015-2016 academic year is $887 per credit. (A 10% discount off Drexel’s regular tuition rate of $985 per credit). The MSN programs are also eligible for Financial Aid and tuition reduction through a network of partner companies and organizations. To find out what methods were used to create this list, please visit our methodology page. *The 15 Best Masters In Nursing Online Programs in 2017 guide has recently been updated.